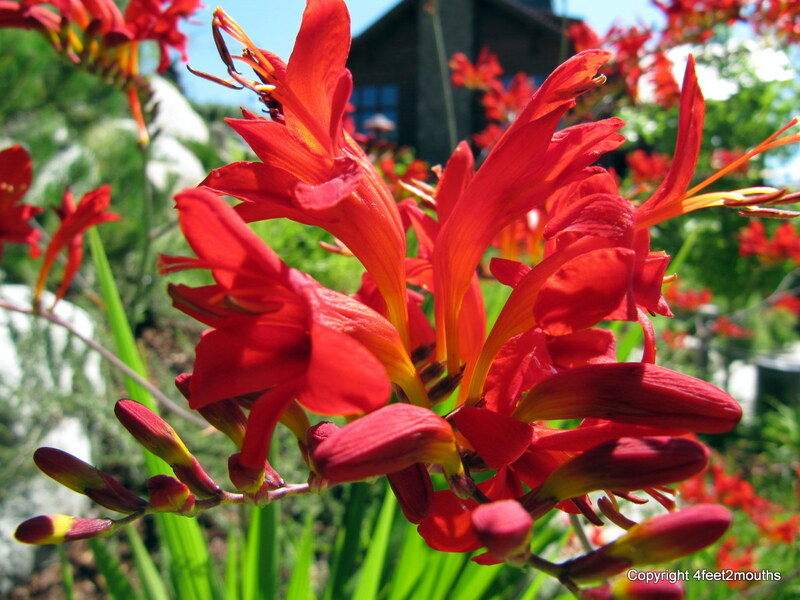 The vibrancy of the natural world is most evident in the colors created by the sun. The sky is painted during sunrises and sunsets, but some of the most magnificent natural beauty is in the flowers scattered throughout the world. 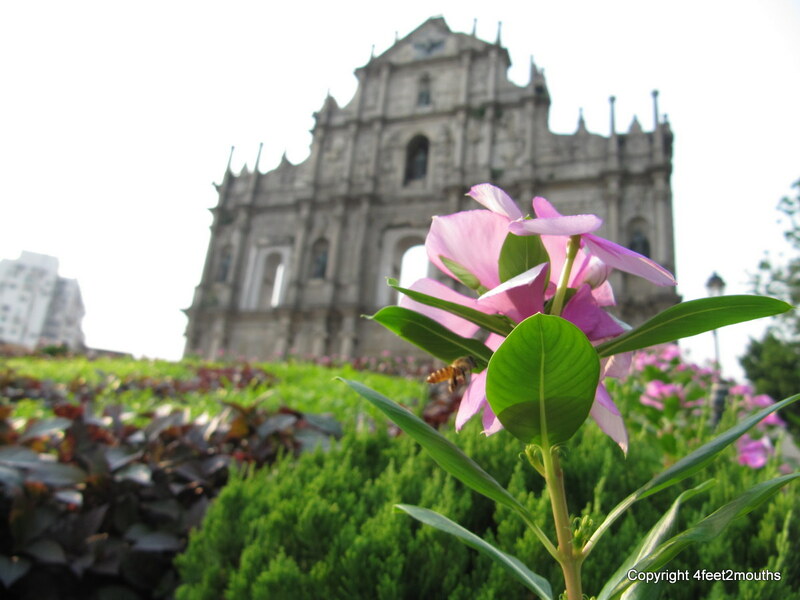 In Macau a bee stopped for a suckle in front of the Ruins of St. Paul. 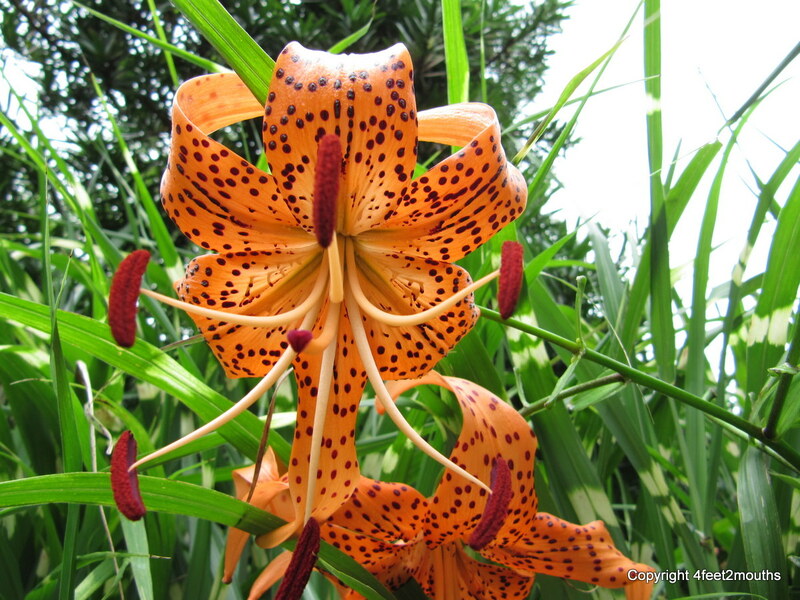 An enormous tiger lily hung across the philosopher’s path in Kyoto. 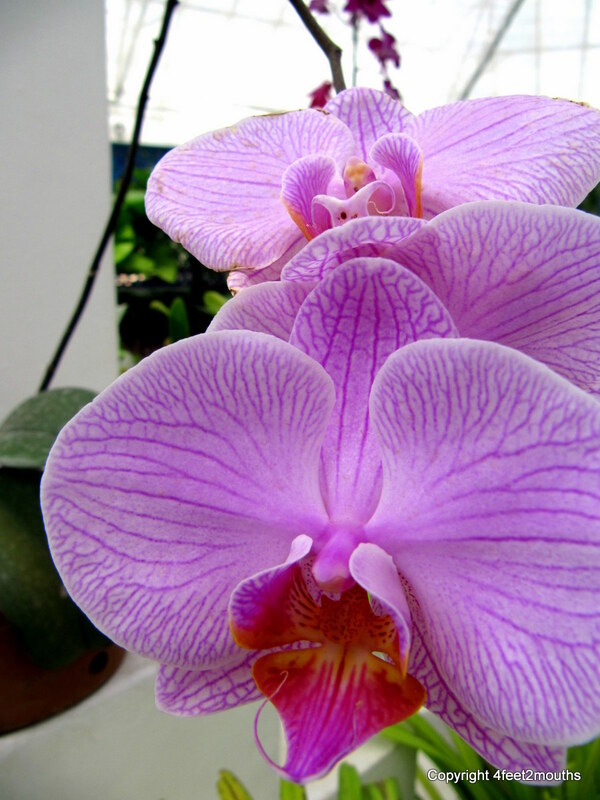 What is it about orchids that make them so alluring? The bright colors, contoured petals and symmetry are so fascinating. 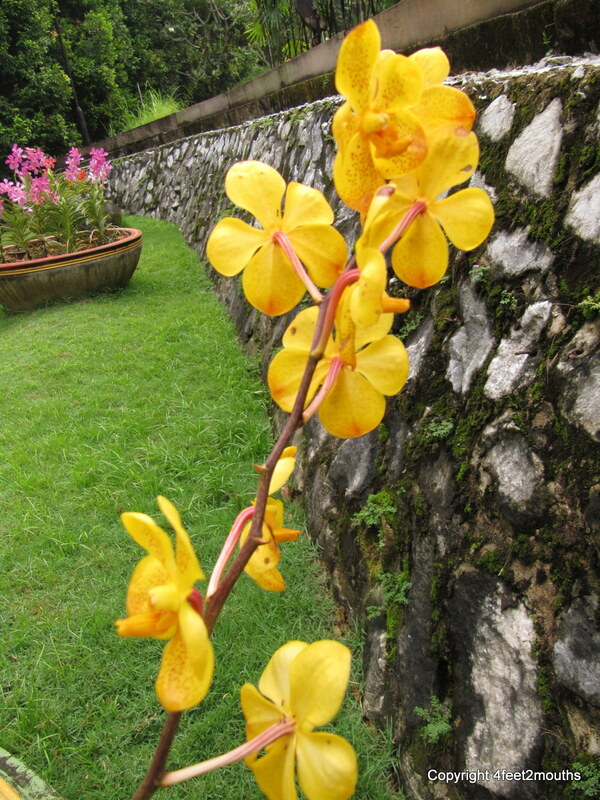 Visit somewhere tropical and there will be orchids in great varieties. 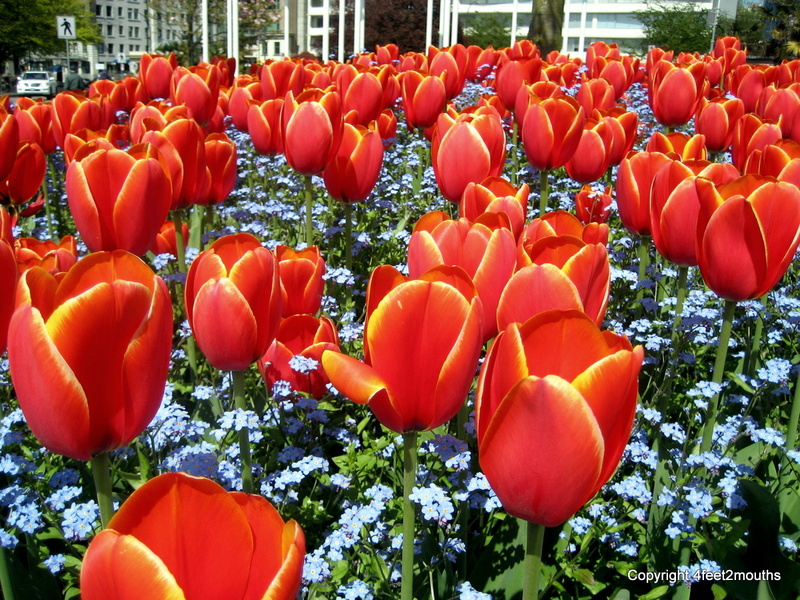 In volume flowers can transition a landscape and make an area colorful and teeming with life. 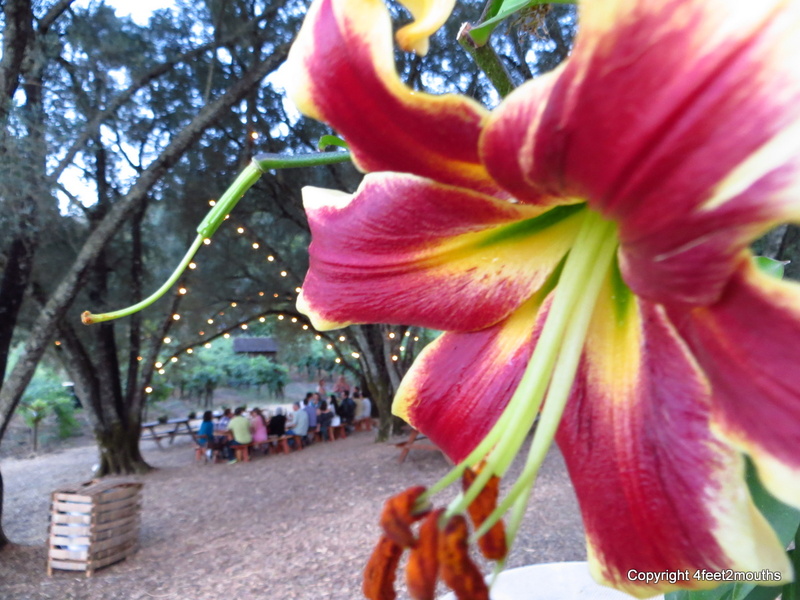 Flowers surround our daily activities and highlight our special events. Some of the best flowers can be consumed. 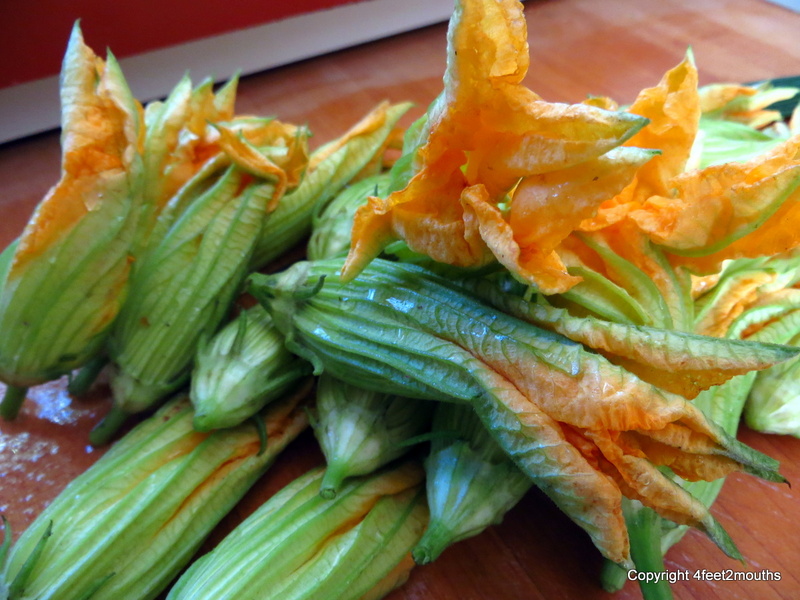 I stuffed these farmer’s market squash blossoms with ricotta then beer-battered and fried them. Delicious! There is so much in this world to see. It is easy to get caught up in the excitement of travel, moving quickly from one big site to the next. Carmen is good at slowing me down and reminding me to “stop and smell the flowers.” It is so wonderful to examine and enjoy the intricacies and details of all that surrounds us. From details in the Inca stonework in Machu Picchu to the grasses that sway over the hills of Sonoma, there is so much to see and investigate. 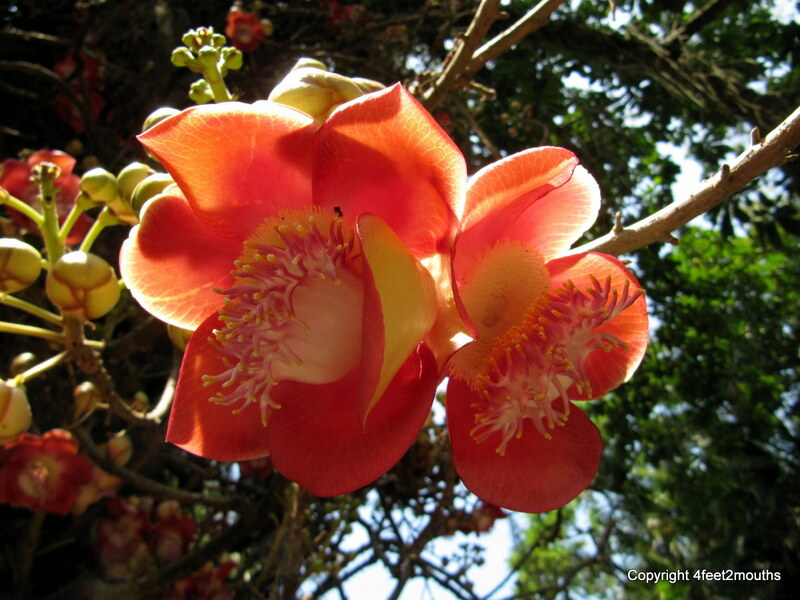 Here is a collection of many of my favorite plant photos that I have taken worldwide. They remind me of the undeniable beauty (pulchritude) of plants. I love the gentle curvature and perfection of color that each provides. I am reminded of how the subtleties of nature make plants so magnificent. 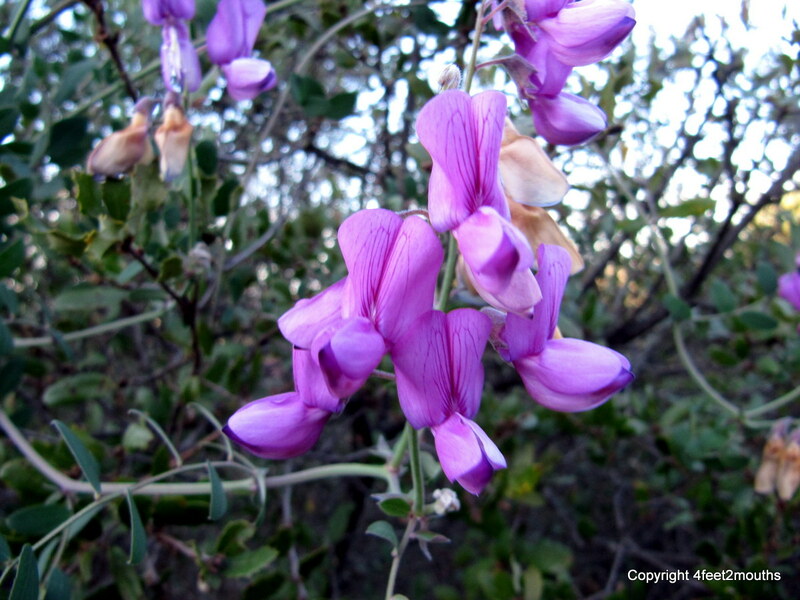 Plants have the most wonderful colors, most commonly greens, but purples too. 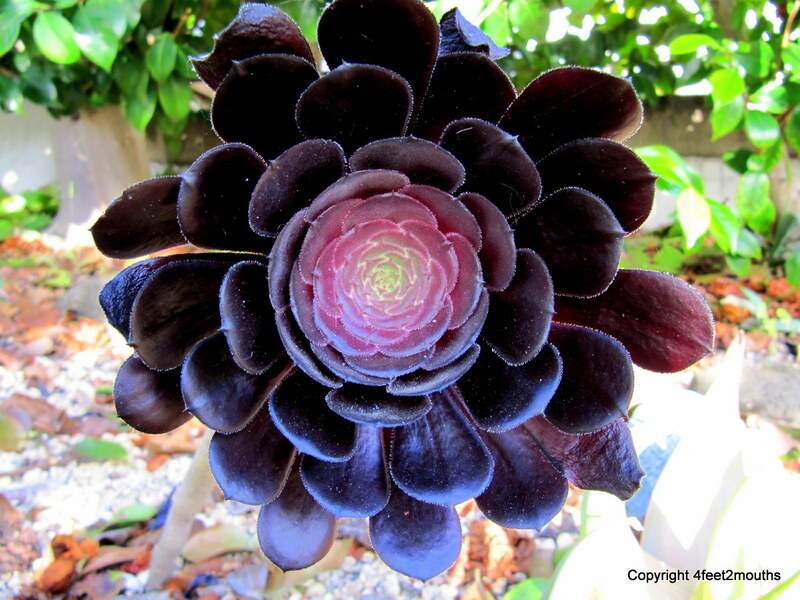 The petals of succulents have such an amazing frequency and proportion to them. Carmen and I were caught in the rain in Kyoto. 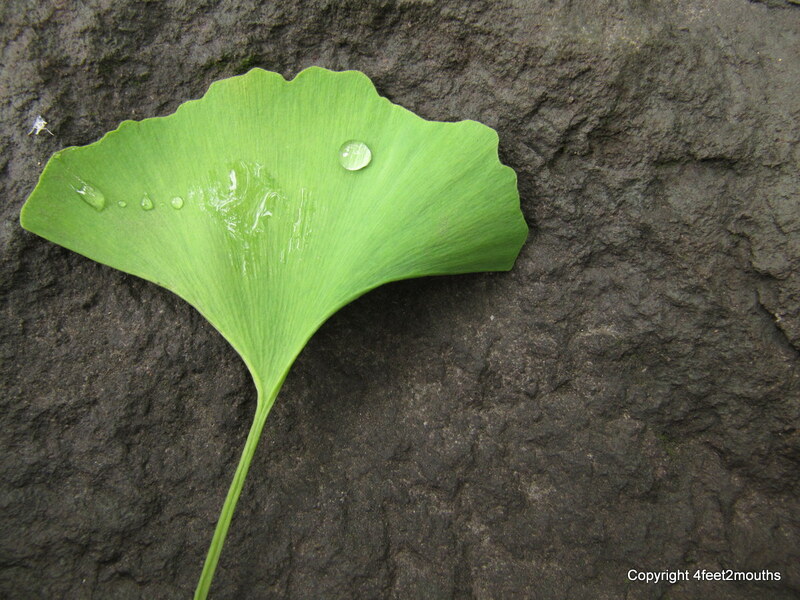 The downpour stopped and the Ginko leaves brightly scattered the street and each elegantly posed for a photo. 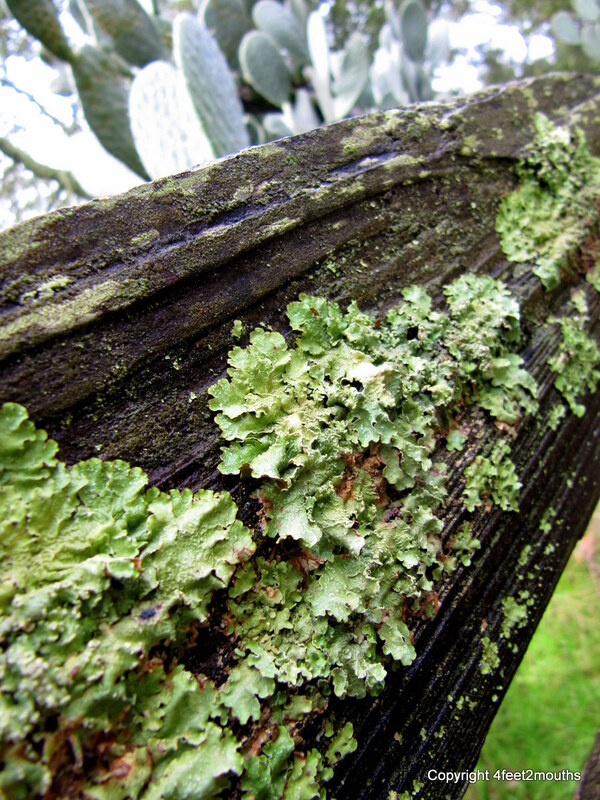 There is beauty in the plants that depend on the wood around them to grow. 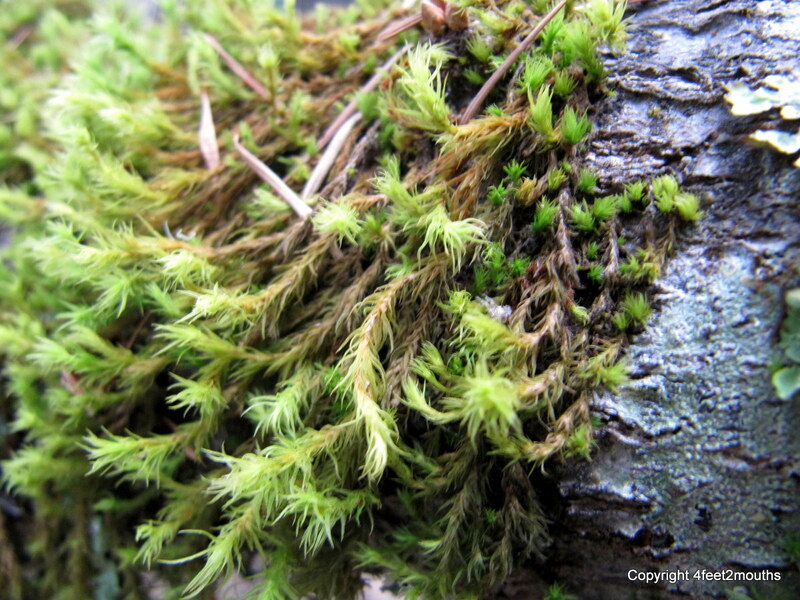 The soft greens of lichen and the furry moss provide a texture to their surroundings. 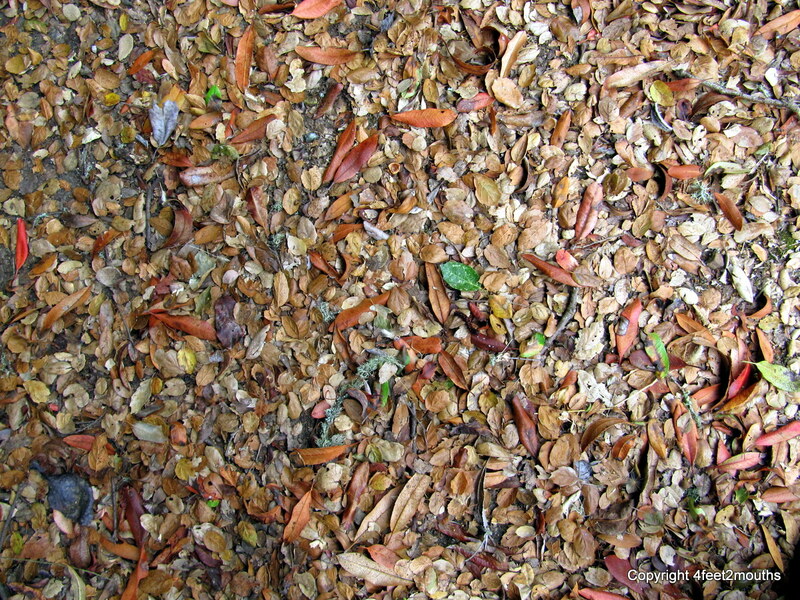 During a hike in Angel Island, I stopped to admire the abundance of colors and textures created by the leaves of the live oak forest above. On weekends I tend to wake up early; earlier than most people consider morning. I can’t help it, my body gets really excited for the weekend. One camping trip I woke so early that I needed to leave the campsite because my hangover friends were not going to be happy if I started making noise. I hiked deep into the hills behind Lake Sonoma. 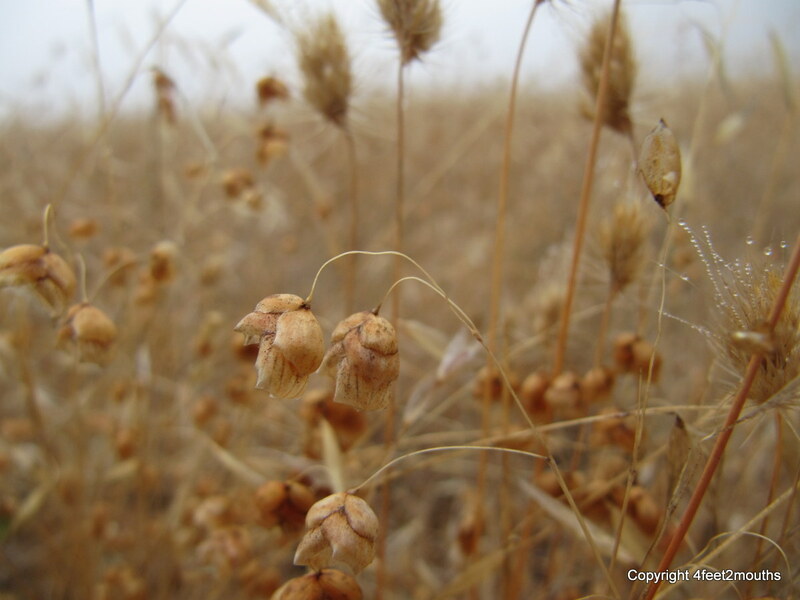 The pine forest continued up the steep hillside and at the top I found a beautiful clearing of golden brown wild wheat. 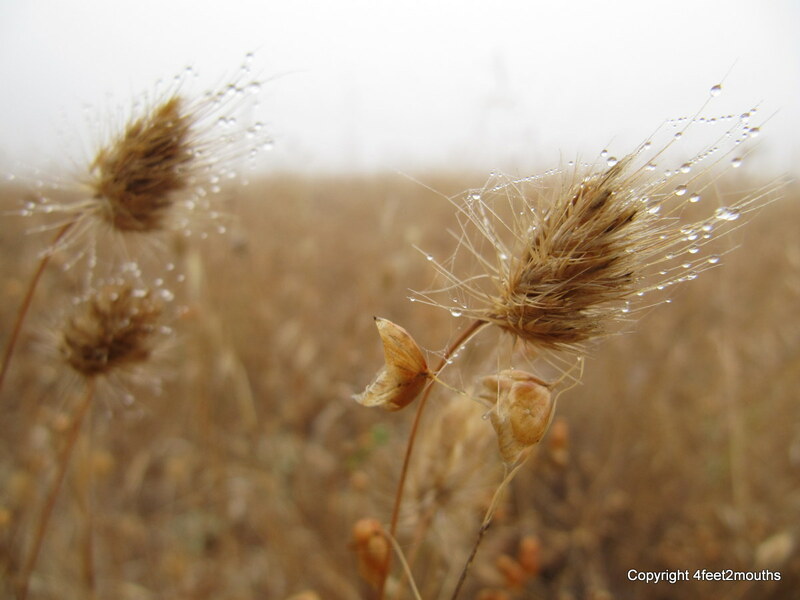 The dew had condensed on them and I sat there for over an hour just watching them sway. 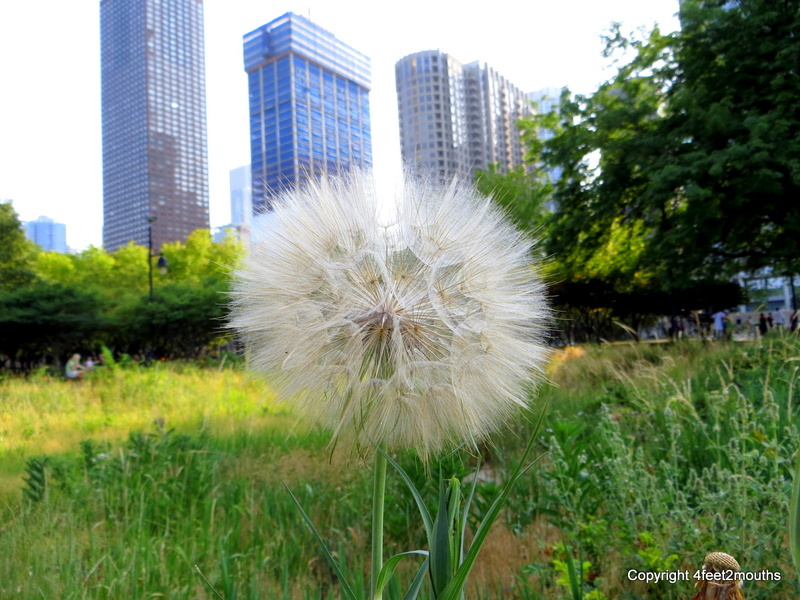 In Chicago, we found a softball sized dandelion that took Carmen and I several breaths to fully release all the seeds into the wind. Visiting wineries has not entirely been about drinking. 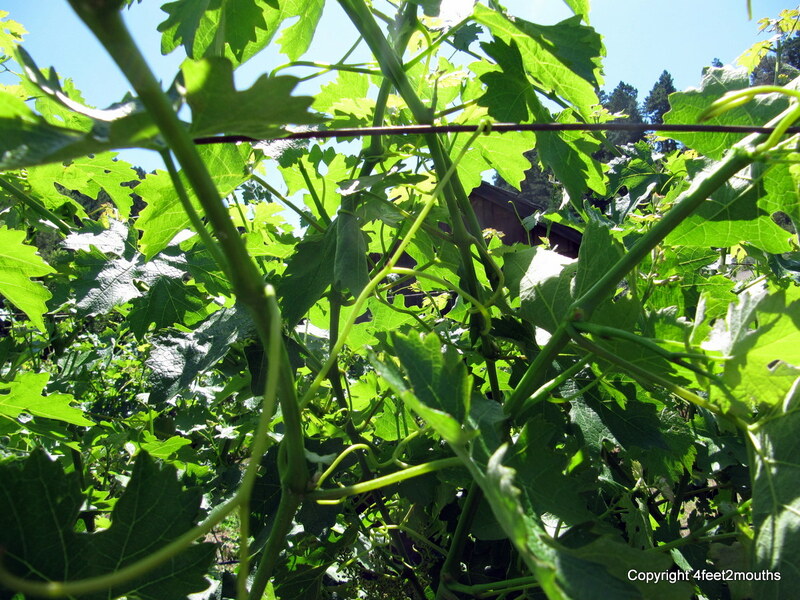 We often meander through the vineyards tasting a grape here and there and touching the intricate vines. 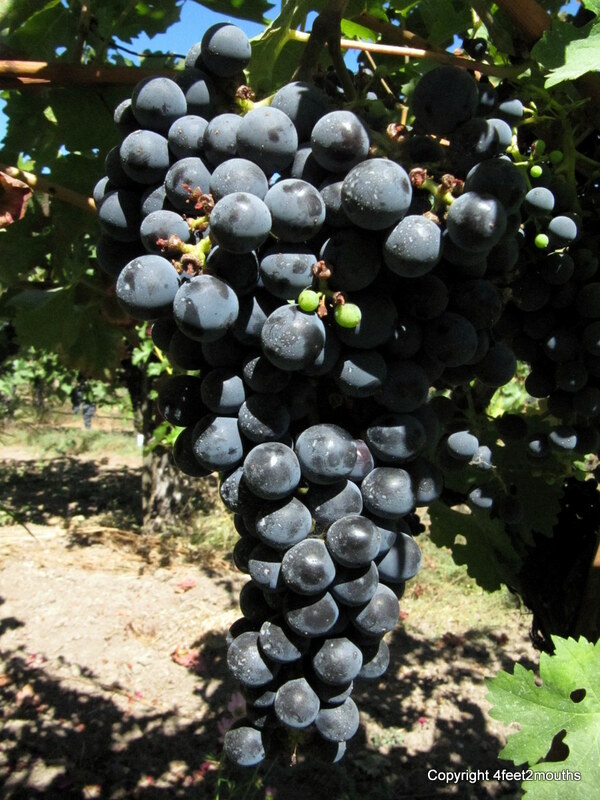 Then we return to a glass of wine. I love good street art. 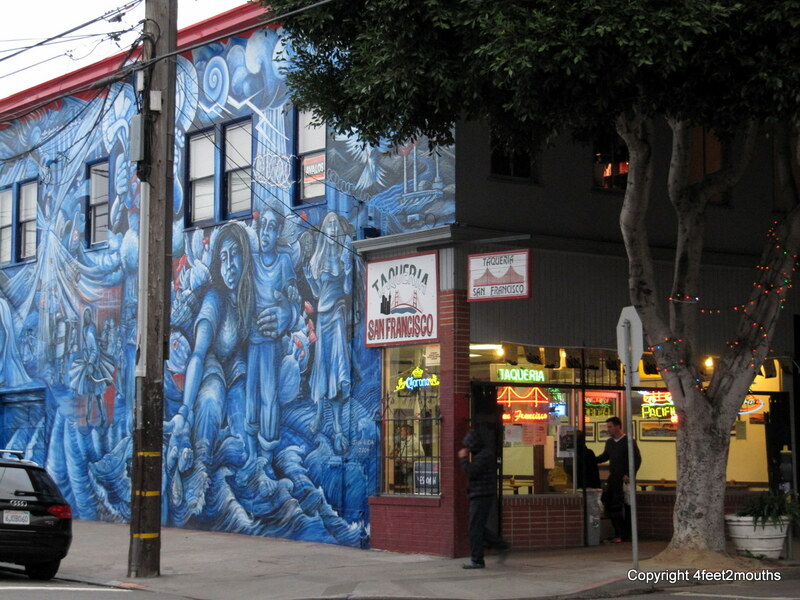 There is something wonderful about huge murals that express the vibrancy of a place and the people around it. I would never encourage the illegible crap that seems to plague so many places as graffiti, but there is street art around the world worth admiring. 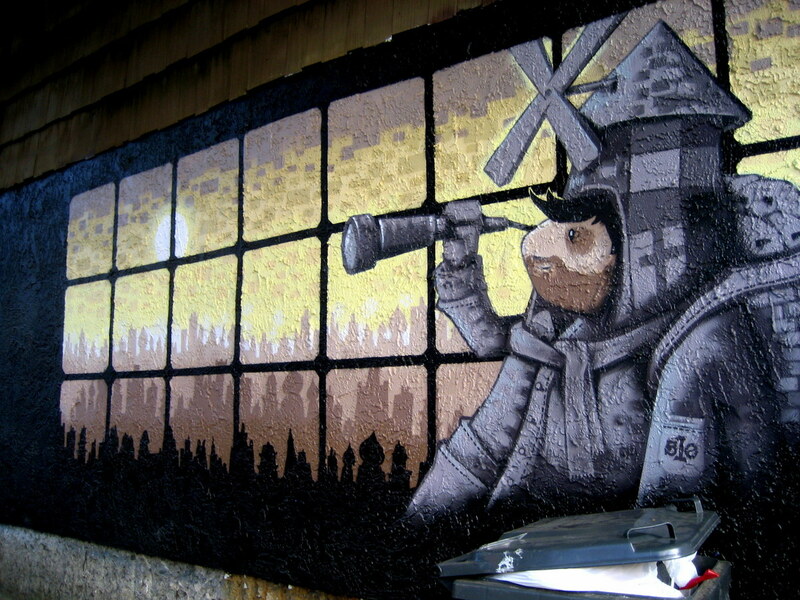 There are places with graffiti that is as eye-catching and engaging as anything in any museum. I usually take photos of street murals that I like, seeing them reminds me of the walk through the neighborhood, the excitement of the city and the uniqueness of the culture. 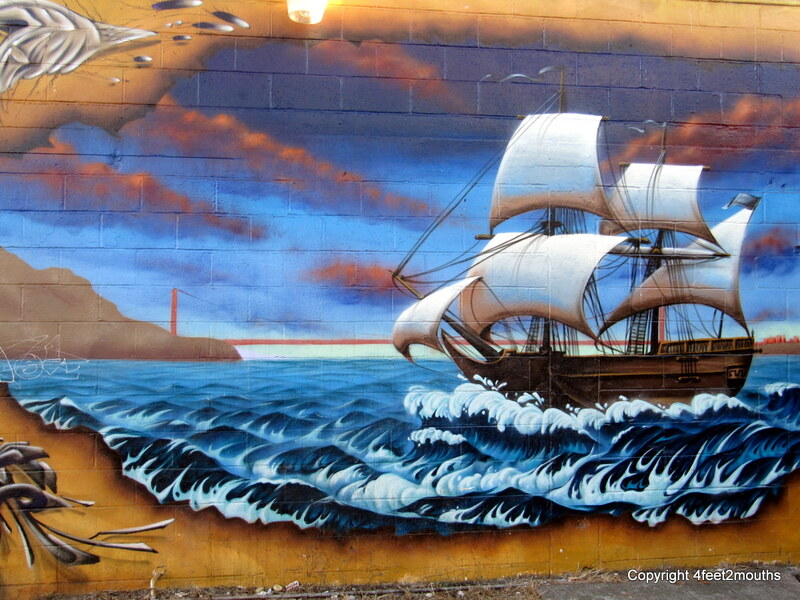 San Francisco has a wonderful collection of beautiful murals. 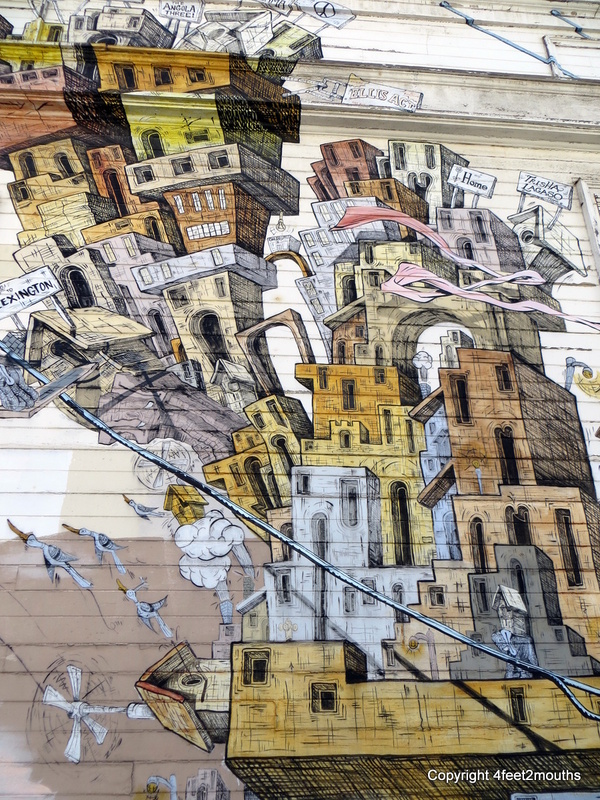 The Mission neighborhood includes enormous buildings and blocks of alleyways full of intricate paintings. 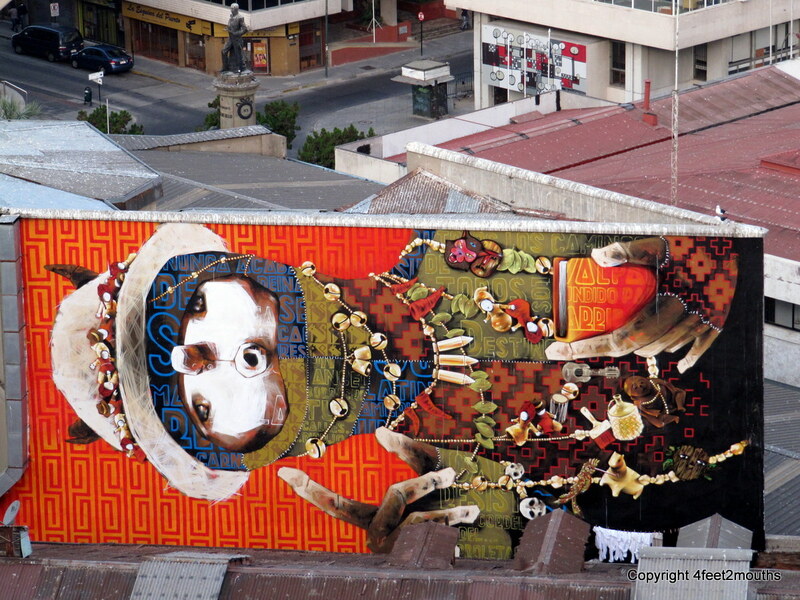 The murals express a medley of Mexican cultural heritage, surreal landscapes and just about anything and everything else. 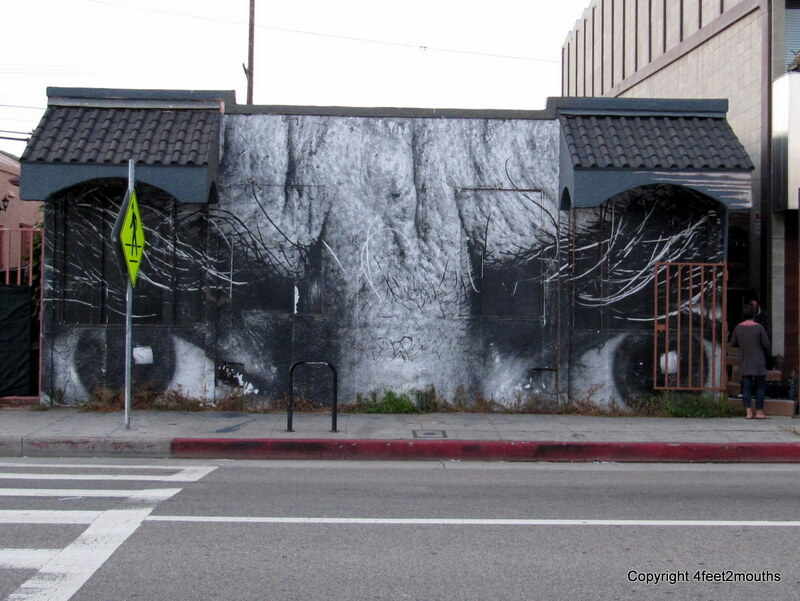 The expressive and slightly disturbing piece of art is the furry pair of eyebrows and staring eyes that have found us several times when walking around in Venice Los Angeles. 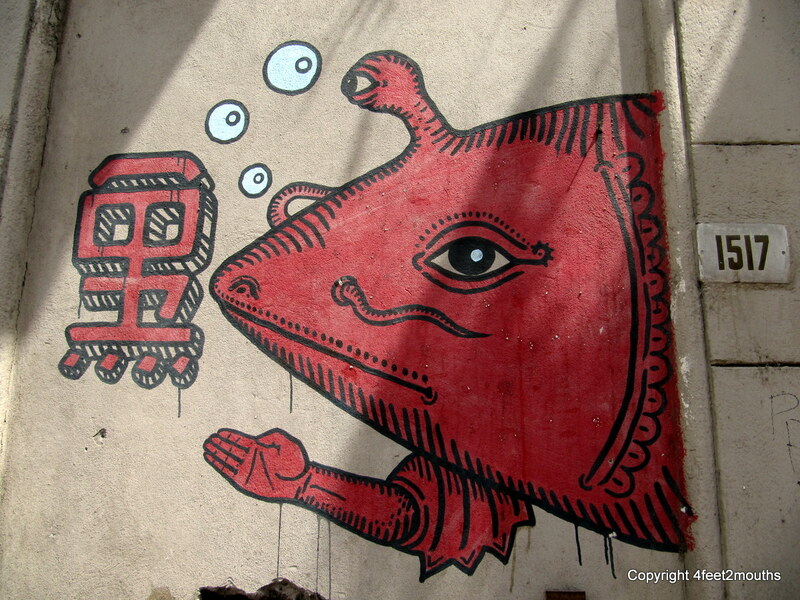 Valparaiso is a neighborhood on Chile’s coast known for its assortment of colorful assortment of murals. 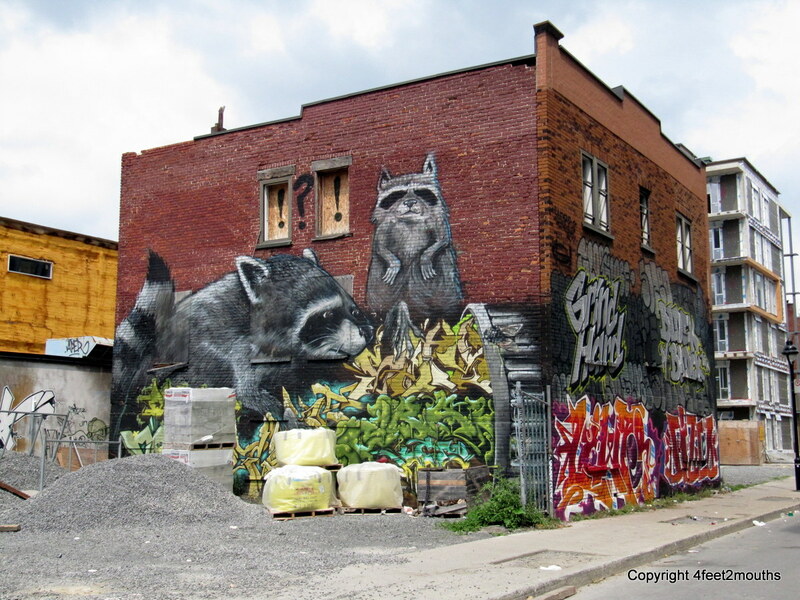 Montreal had an interesting program to repaint and cover up the eyesores of graffiti with a street art competition to paint industrial buildings. 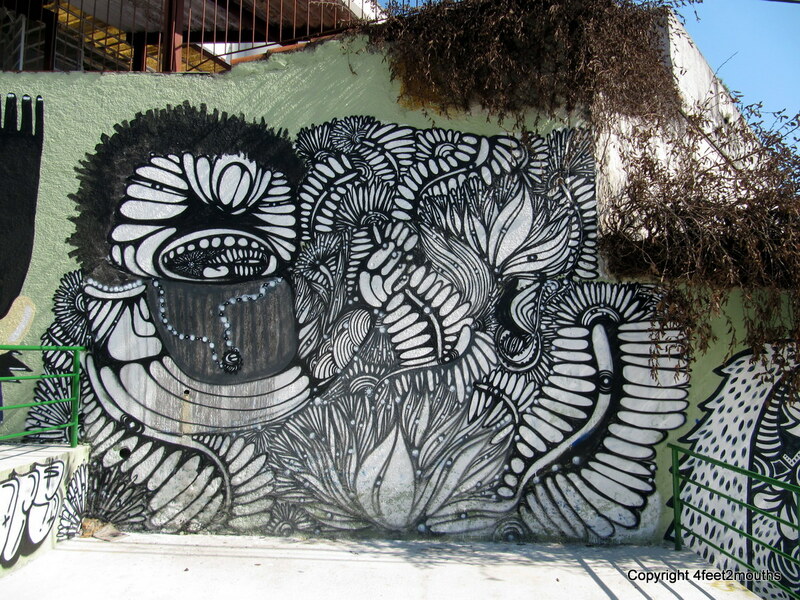 Graffiti is political and colorful, and always creative in ways that I could never have guessed. It can be enjoyed by everyone and easily replaced when the next artists has a better idea. 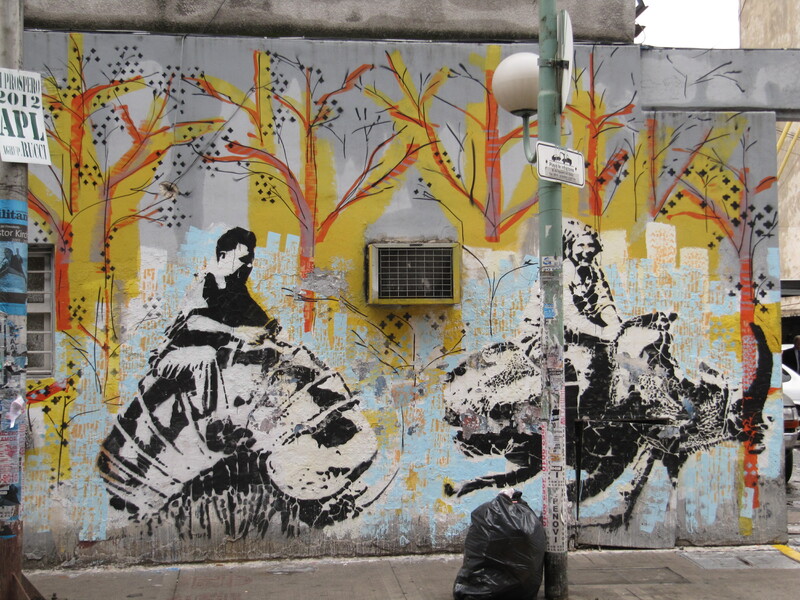 The artwork provides life to blank walls and lonely walkways.